Celebrate your special day with flowers as unique as you are! The flowers were perfect! Thank you so much for all of your hard work. You had an excellent understanding of the "look" we were envisioning and were 100% on target. 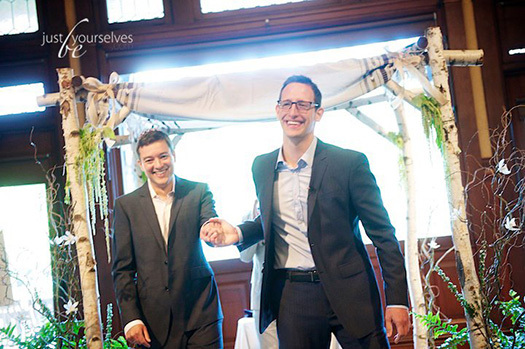 The chuppah, bouquets, boutonnieres and centerpieces were absolutely beautiful and you were a pleasure to work with. Thanks again for everything. Thank you so much for all your beautiful work and dedication. Everyone loved your work, and we're so glad we got to do this together. You were very helpful throughout and we wish you all the best. Thanks again for helping make this such a wonderful event. It was all flawless, and we loved every minute of it. Thank you so much for your hard work and incredible floral displays. You are so talented and I am so impressed by all you can do. My wedding would not have been the same without you. Your flowers really made this day special. You were an absolute joy to work with for both the wedding and the rehearsal dinner. Thanks again for everything. You made our day perfect, Elissa. 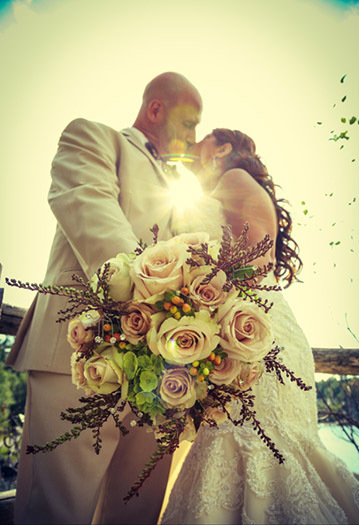 Charming flowers for the entire wedding party. 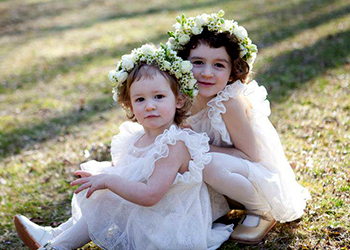 We loved the floral crowns you made for the girls; they were absolutely gorgeous! Thank you for doing such beautiful work! Thank you so much for all of your creativity and for making our wedding a visual treat. We didn't think it was possible to make Boscobel more beautiful, but your subtle and seasonal floral design complemented the setting perfectly. Your ability to take our ideas, flesh them out, and make them a reality was impressive and much appreciated. We have gotten so many positive comments about the flowers. We also appreciated your flexibility, your calm manner, your professionalism, your helpful suggestions, and your willingness to listen and respond to our preferences. her flowers. Her note appears at left. Elissa did the flowers for our wedding, and they were amazing! I had a limited budget, as well as some non floral décor that I wanted to use. I also had NO clue what I was doing and the prospect of florals kind of overwhelmed me. Elissa worked with me so patiently to accommodate everything I needed and calm all of my concerns. I had a lot of ideas running through my head and Elissa helped channel them and guide me to the perfect solutions. I wound up trusting in her expertise and giving her a lot of creative control, and I couldn't have been more pleased with the outcome! Elissa is such a lovely person! When she showed up to deliver the flowers she was so warm and helpful, and I was so very pleased with her and her expertise. She decorated my cake as well with fresh flowers and lighting and it turned out just gorgeous! Exactly like I had imagined! Only better! I highly recommend Elissa! The flowers for my son's graduation party Saturday evening were GORGEOUS! They made it a truly special event. What an aroma! Thanks again. Copyright © Elissa Rinaldo Cimino. All rights reserved. Photographs by Tè Cachè Photography, Jean Kallina and J.Ferrara Photography. All rights reserved.